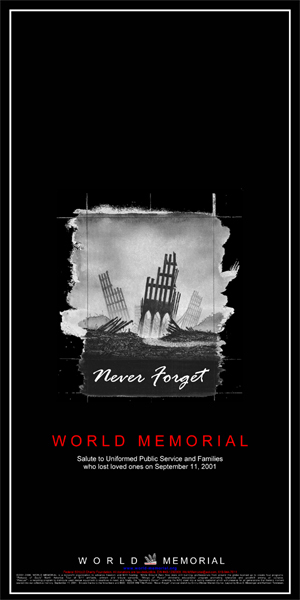 At the going down of the sun, And in the morning we will remember them…Lest We Forget! 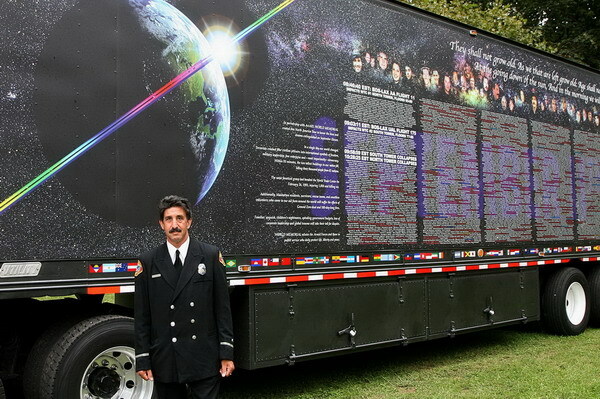 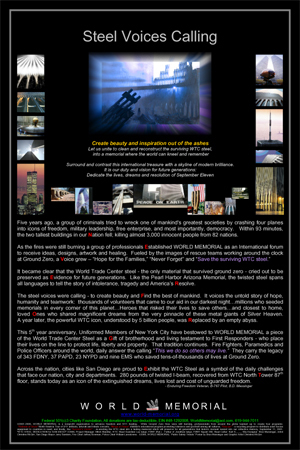 WORLD MEMORIAL, ArtAID, NASA and Chrusion are registered trademarks. 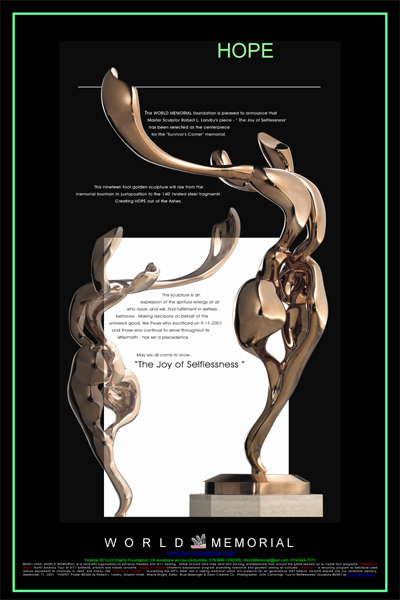 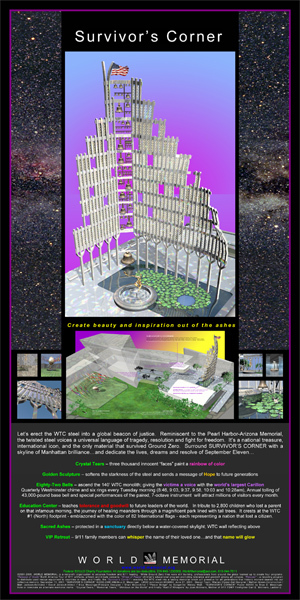 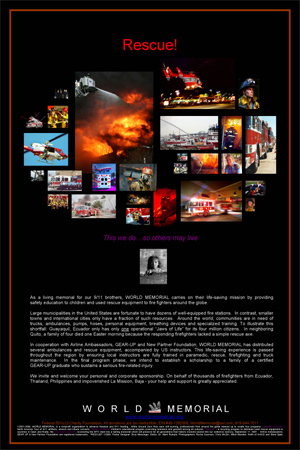 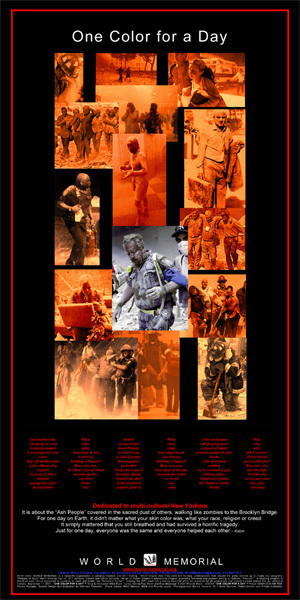 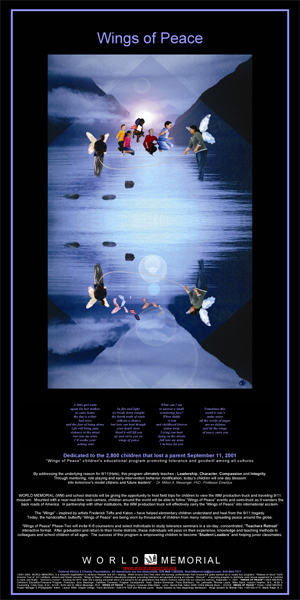 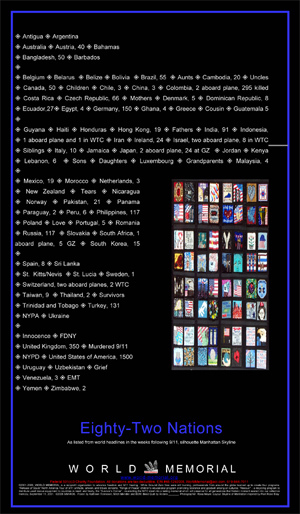 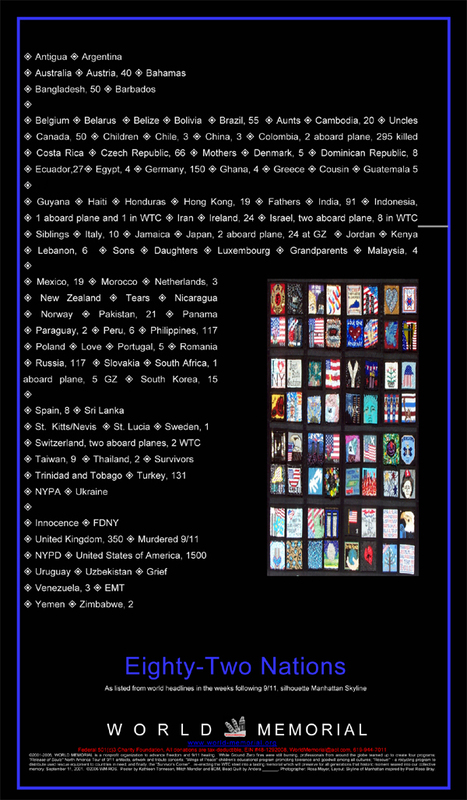 WORLD MEMORIAL posters are available for educational/nonprofit use. 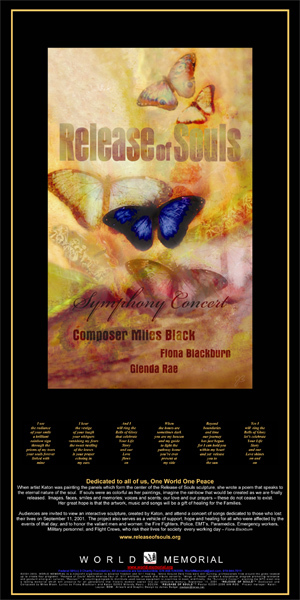 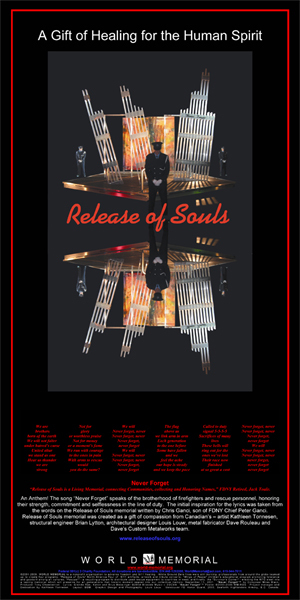 Please printed poster in it's entirety with copyright and professional credits. 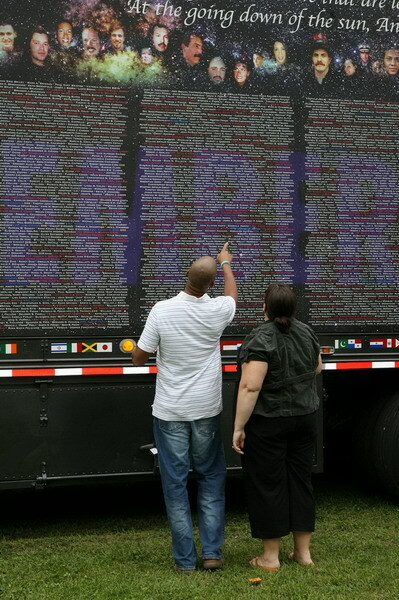 Contact World Memorial to obtain permission or decals for your CDL truck! 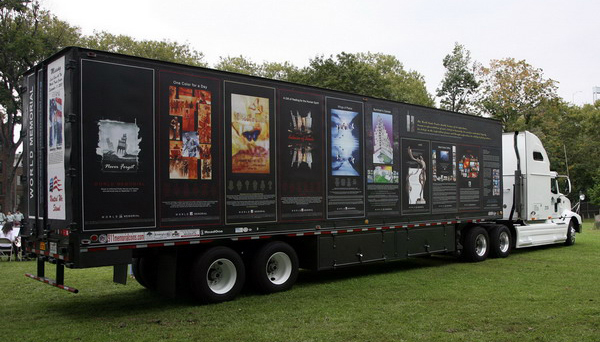 Hi-resolution 40x8' Honor Roll Banner is available for truckers!